This listing is for a beautiful silver plated flat neck wire. 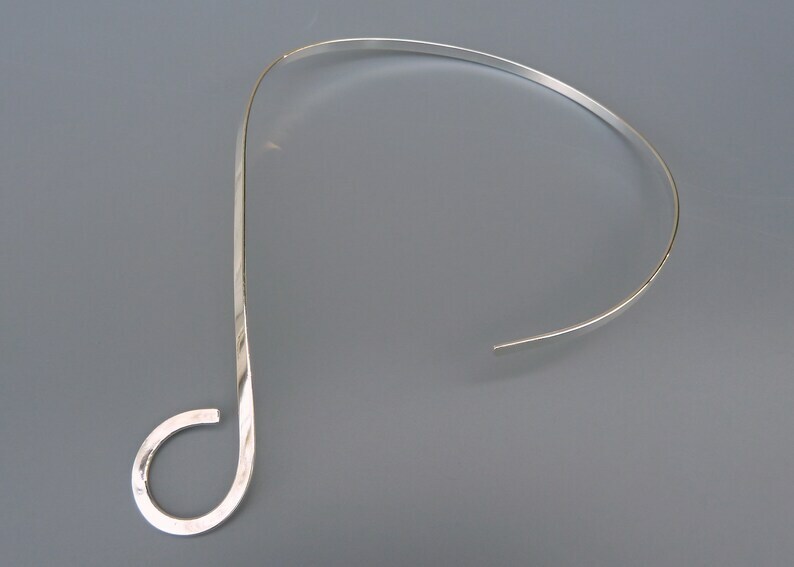 This neck wire or neck ring is shaped into an S form with an open loop in the front to hold a pendant or charm. The necklace sits comfortably on your neck and can be shaped to the contours of your neckline. It does not have a closure in the back. This necklace looks just as lovely worn alone or with a pendant or charm.